A lightweight, all purpose design for the exceptional youth athlete looking for varsity style protection. The extended body length adds extra protection. Raised corrugations and 7mm vent holes maximize ventilation. Impact channels feature a double layered foam padding system. 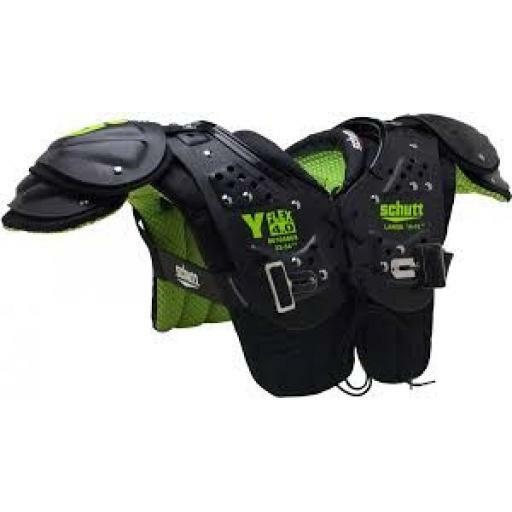 The elastic strap attachment system makes this pad extremely flexible and easy to fit on a variety of players. Body cushion is permanently attached to the arch. The arch has an extended cut in both the front and back - for extra protection for young bones. 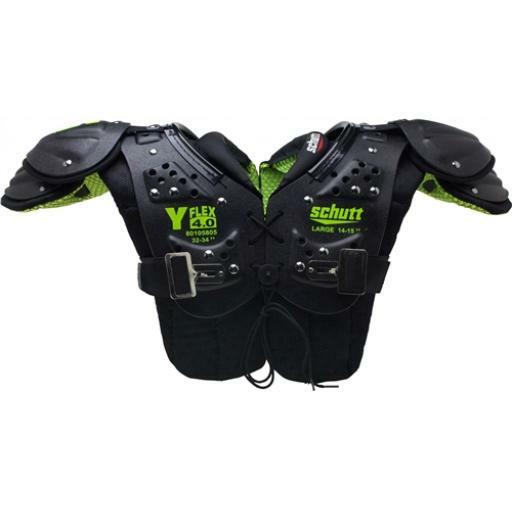 The Y Flex™ is the ONLY YOUTH SHOULDER PAD to offer this extra protection as standard item. The extended cuts protect the sternum, ribs and back.